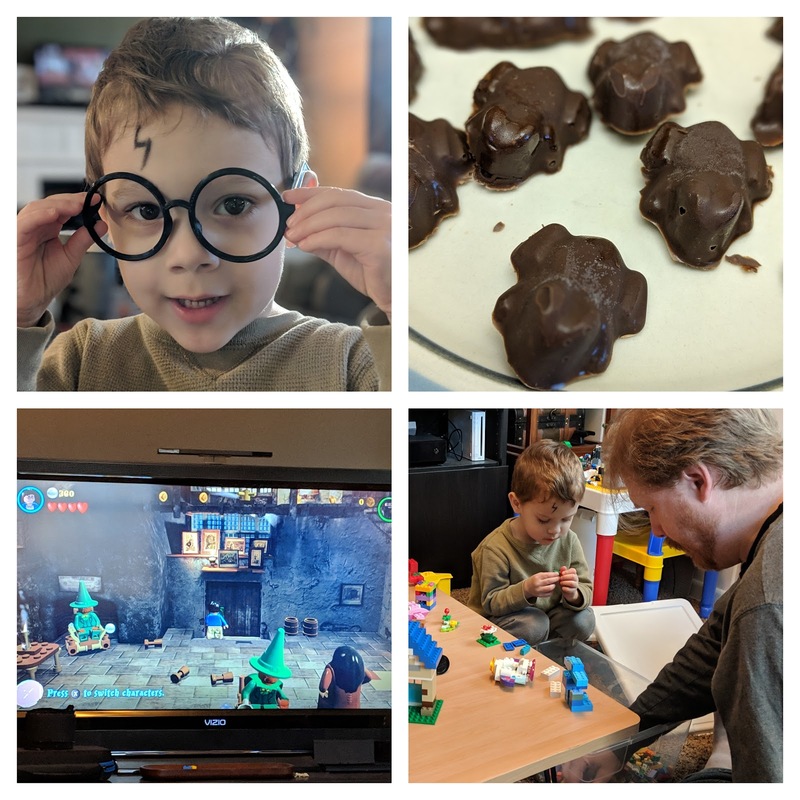 Quinn was ill yesterday afternoon after wrapping up the Harry Potter movie. He took two naps and still slept all night. That didn't stop him from insisting that today be another Harry Potter Day (the 3rd in a row, in fact). His mood is almost never dampened when he's under the weather. He sported a lightning bolt scar, we made chocolate frogs, played LEGO Harry Potter, and assembled different things we saw in the game. It was a low key day so he could spend time recovering and still have fun.